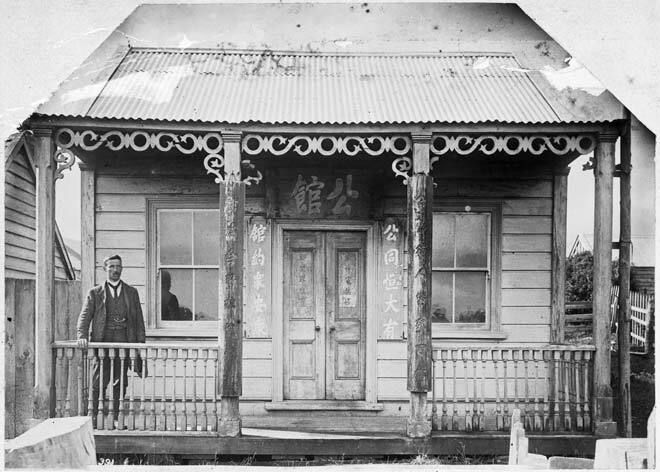 The Chinese script on this building at Round Hill in Southland set it apart as a Chinese temple. Chinese miners tended to band together and meticulously worked over their gold claims. Presbyterian minister Reverend W. Mawron stands on the porch.